Rough sawn timber that is semi sanded with a belt sander is a great finish also. Most of the roughness is removed so the beams don’t have splinters or collect dust. The character of the saw marks is preserved and is brought out of the timber by applying a dark stain. 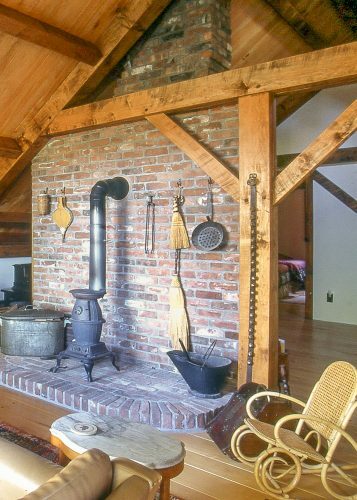 These beams are in the Friant Residence in Landgrove, VT. The wood is semi sanded maple. The timber in this home has a rustic look, but is smooth to the touch.